Queen's Women's Hockey Alumni, Family, & Friends - Join us on Saturday, Nov. 10, 2018, to enjoy a Gaels home game and reception to follow. 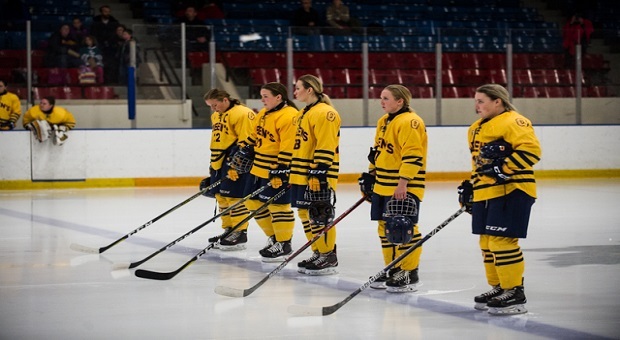 Watch the Gaels at the Memorial Centre where they take on the University of Toronto Varsity Blues at 2:30 pm. Following this, there will be a dinner reception at the Four Points Sheraton Kingston and silent auction for family, friends, and alumni of the Women's Hockey Team. You can purchase your ticket for both the game and the reception during the registration process. Interested in booking a room for the weekend? Visit the Four Points Sheraton website for more information!